Reducing greenhouse gas (GHG) emissions is an important global issue. Specifically for the oil and gas industry, our challenge is to reduce GHG emissions while the demand for energy – and the amount of energy the world is consuming – is growing. By developing innovative technologies, Canada has a significant role to play in meeting global energy demand and contributing to the important global ambition of GHG emissions reduction. Canada’s oil sands industry continues to reduce GHG emissions intensity. Oil sands account for 10 per cent of Canada’s GHG emissions. 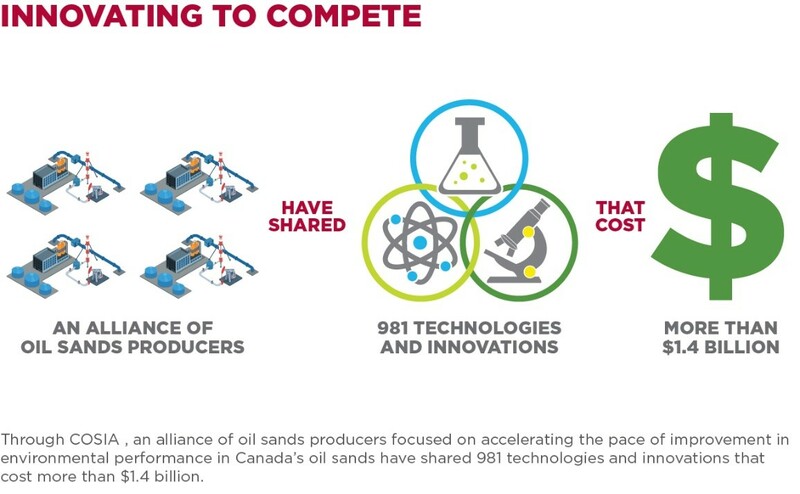 Companies have invested more than $1.4 billion collectively through Canada’s Oil Sands Innovation Alliance (COSIA) to develop new technologies to improve environmental performance. Work is in progress on a variety of new technologies to lower GHG emissions and capture and store CO2. Cogeneration – the simultaneous production of electrical and thermal energy from a single fuel source – offers a highly reliable, cost-efficient, “made-in-Alberta” power generation solution that can play an important role in Alberta’s electricity mix and help attain provincial greenhouse gas (GHG) emissions objectives under the GOA’s Climate Leadership Plan. Co-generation, the lowest cost supply option for Alberta, produces 29% less CO2 than state of the art combined cycle facilities and 62% less CO2 than existing coal plants once converted to natural gas. To the extent Alberta requires additional natural gas fired generation to support renewables and replace coal, co-generation should be Alberta’s first technology choice to minimize CO2 emissions. Alberta has ample cogeneration opportunities including those in the Athabasca region. However, currently only an estimated 16 per cent of the oil sands’ cogeneration potential has been developed. The absence of policy framework conducive to developing cogeneration is a lost opportunity. 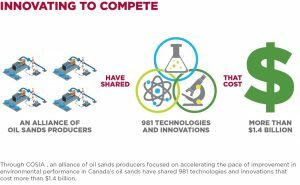 Oil sands’ cogeneration is a great success story and potential power generation opportunity from both an energy efficiency and environmental perspective, but is not well understood or appreciated provincially, nationally or internationally. Read more in Supporting Co-Generation Through Alberta Climate Leadership Plan. Reliable, long-term environmental monitoring based on sound, science-based methods is in the best interest of both industry and the broader Canadian public. While oil sands companies are primarily responsible for the onsite monitoring of their operations, they are accountable to a number of organizations for regional monitoring and program design. This ensure a high industry standard is maintained and enforced across all operations. Approvals from numerous federal, provincial and joint approval regulatory agencies are required at every phase of development, from construction and operation to decommissioning and reclamation. The Lower Athabasca Regional Plan (LARP) established new environmental frameworks to safeguard regional air and surface water quality and increase the amount of land set aside for conservation to more than two million hectares.